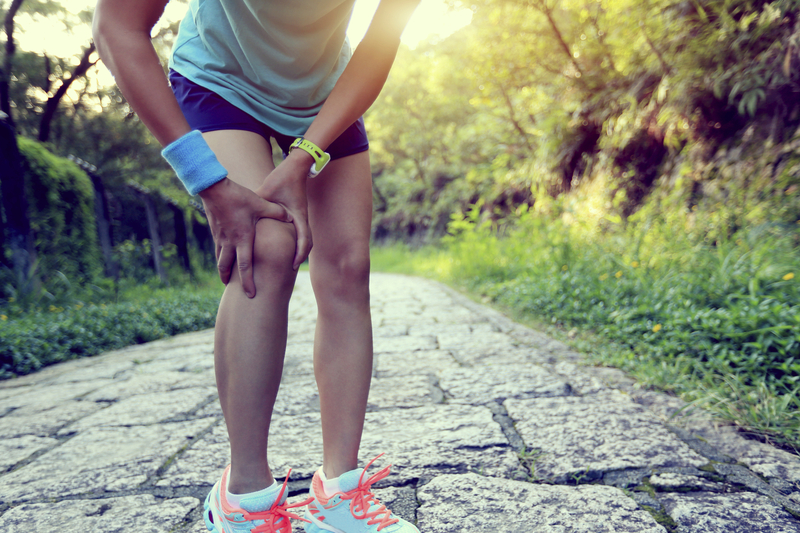 Googling exercises for knee pain isn’t really the best way to deal with any problems you may be experiencing as they aren’t specific to YOUR problem. Having said this when it comes to looking to prevent getting knee pain the specificity issue becomes less of a problem as we aren’t looking to rehab an injury rather we are looking to ensure the areas that impact on the knee are in good condition. 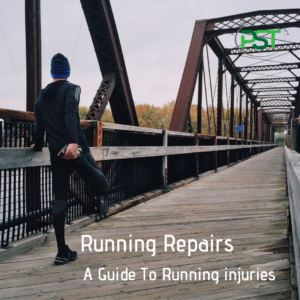 Runners knee or anterior knee pain is one of the more common issues that affect runners but adjusting how you warm up can help reduce the chances of it being a problem for you. There was a great study carried out by the British army on 1500 recruits over a 14 week training period showed that simply adding in 4 stretches and 4 strengthening exercises, step ups, lunges, single leg squats and hip abduction for the strengthening exercises then stretches for the hamstrings, quads , IT band and calves. These are a nice broad spectrum of exercises that target the areas that we know have an impact on the knee. 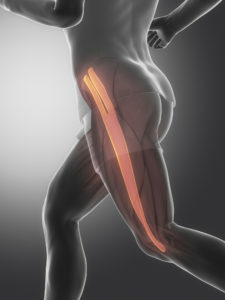 With knee pain we know that the hip and ankle play an important role in the stresses that play on the knee so we know that targeting the hip and the ankle in our warm up is going to yield benefits for the activity ahead if it is one that places a large load on the structures and tissues of the knee. the it is for this reason that the warm up procedure worked as well as it did even though it was a very generalised approach and it would be interesting to see how much more effective the warm up would have been had it been possible to tailor the exercises to the individual, obviously not possible when you are dealing with 1500 participants. One of the other factors worth addressing in the warm up is that we really wan tot be able to land on a “soft knee”, see the runner in the red vest in the photo below, whilst we don’t want to land on either a leg that is too bent or too straight, much more common and is what is going to happen in the runner with the yellow vest on the left of the photo. We can address this issue in two ways. The first is with a drill, in the video, that teaches to land in this manner such that it becomes second nature. The second one is to address your cadence or the number of strides you take in a minute. Ideally we want this to be somewhere between 160-190/min for distance running. Lower than this increases the forces that you have to absorb and can lead to issues. When it comes to measuring it simply count the number of times one of your feet hits the ground in a minute then double it. If you find it is below 160 then look to start increasing it, a useful way is to think of the ground as being hot and that you want to pull your feet a=off it as quick as possible. When trying to increase your cadence there is no need to increase it by any more than 10 strides a minute each week or so, take your time and let your body adapt to the new form. 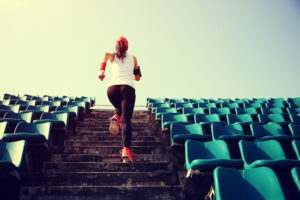 But what if you have knee pain and still want to exercise? This is where a good physio or sports therapist comes into play as we can look at you as an individual and assess the problem and provide a solution through an exercise program that is specific to yourself and the causes of your knee pain. When assessing what is happening with your knee we can look at how well the glutes are functioning in different positions, the interplay between the hamstrings and gastroc and your ankle mobility. From this we are able to create a bespoke rehab program for you and provide direction on what to do when you are warming up to minimise any discomfort. If you would like to have a chat about any knee pain issues that you may be experiencing then fill this form in to arrange a call. Or, alternatively, if you would like to come in for a chat you can organise a FREE discovery visit here.